Amazon, as the resource the Wall Street Journal (WSJ), it seems, is going to expand its technology stores and cashiers — journalists argue that the company is testing it already in major stores. In January, Amazon was opened to the public its first small shop Amazon without cash Go in Seattle, followed by additional points in Seattle, Chicago and San Francisco. These stores use cameras and software to determine what products customers are buying, and automatic withdrawal at the exit. Existing Amazon stores Go — this is a small point with the goods of daily demand and, thus, it is smaller than a typical grocery store has less number of goods and accommodates fewer customers to keep track of. Network deployment of such shelves of Amazon was delayed in 2017, because the technology was not very reliable and automation sometimes could not withstand the influx of visitors (more than 20 people). The WSJ reports that Amazon has improved the software in these stores after the discovery, but according to sources, the technology still has problems with larger spaces, high ceilings, and a large number of products. According to the report, Amazon is testing the technology in space, into a big shop. Sources also say that the most likely use of these developments — a network of Whole Foods, which Amazon acquired in June 2017. Earlier, however, the company reported that it plans to introduce the technology “inhuman” of service in these shops, but things could have changed. It is argued that Amazon have big plans for stores without cashiers: by 2021, there must be 3000. 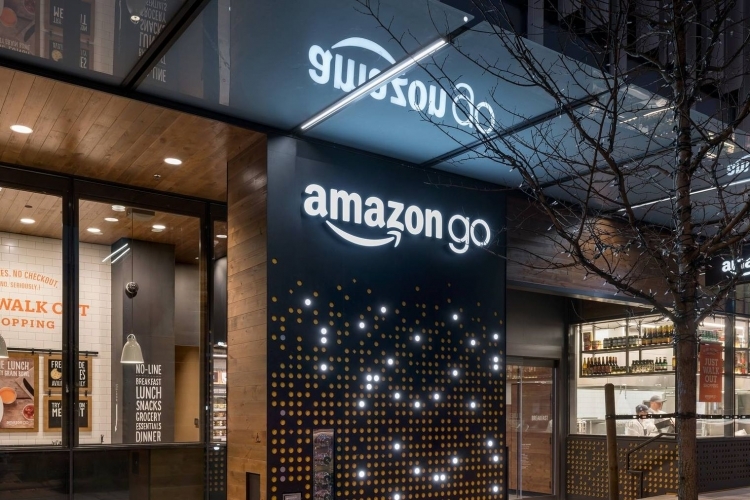 This would allow them to compete with such chains as CVS and Walmart, and for this, companies need to scale their technology used in retail outlets Amazon Go up to big supermarkets. Other companies are also thinking about moving in this direction. In October, Walmart announced the opening of a pilot store Sam’s Club in Texas, where there are no cashiers and customers when they buy using mobile app to scan codes on the products, instead to rely on the store to track purchases, as Amazon Go.